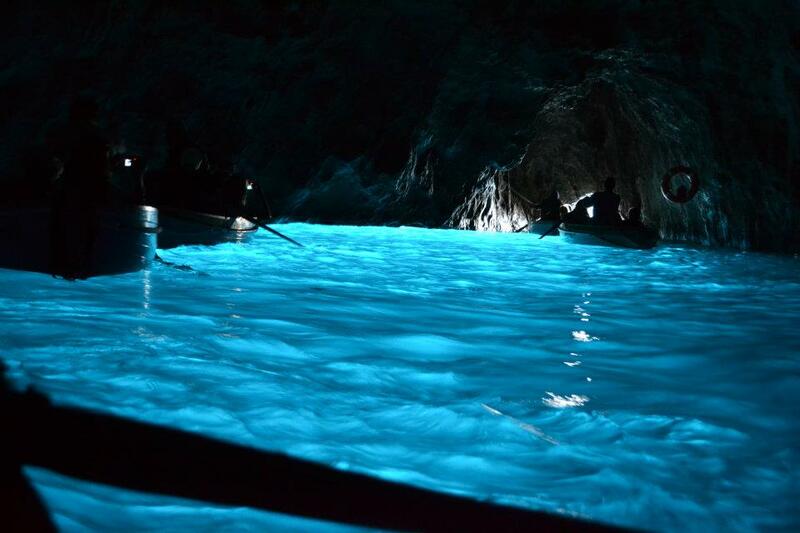 Inside the Blue Grotto, the cave opens up into a massive area with glowing blue water. One of my favorite things to do as a FlorenceForFun tour guide in the Amalfi Coast is watch the reactions of everyone going in and out of the Blue Grotto in Capri, Italy. 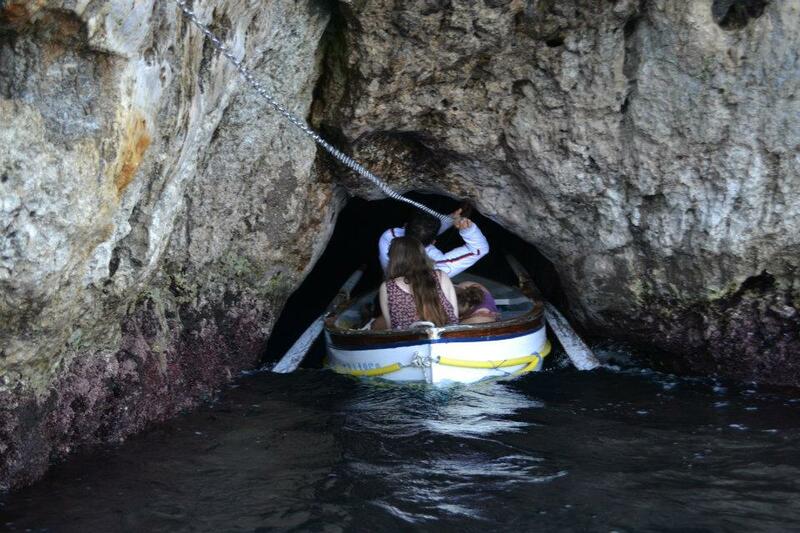 One by one, people step gingerly into the rickety wooden rowboats that transport you to the Grotto, squished together like sardines in a tin can as they wait patiently to be rowed into the mouth of the cave. Most people don’t realize what they are getting themselves into when they round the corner on the boat tour and see just how small the entrance to the Blue Grotto really is–a 3 foot tall hole in the side of a cliff that you’d never notice without the hoardes of people waiting outside. On days when the water is choppy, the entrance isn’t even visible underneath the waves that crash against the island. If there is even the smallest wave, the entrance to the Blue Grotto is completely hidden. To get inside everyone in the row boat has to lie down and the boat man pulls you through the gap using a chain. As people exit the grotto, the question I get asked the most is always the same–why is the water inside the Blue Grotto so blue? Well, the answer is quite simple. Underneath the water’s surface lies a hole in the ground, about 32 feet wide directly below the entrance to the Grotto, that filters sunlight from outside of the cave. This light, combined with the light that comes in through the entrance hole, means that the water is illuminated by two sources instead of just one. From the inside of the cave, it’s impossible to tell where the larger hole lies under the water–but if you put your hand in the water, it glows!